Black 80-Percent Standard Pistol Frame Kit - Reinforced Polymer Construction, Stainless Steel Rear Rail Module, Adaptable Grip Texture, Picatinny Rail | BUDK.com - Knives & Swords At The Lowest Prices! With this system, there are no expensive jig kits and parts to purchase. 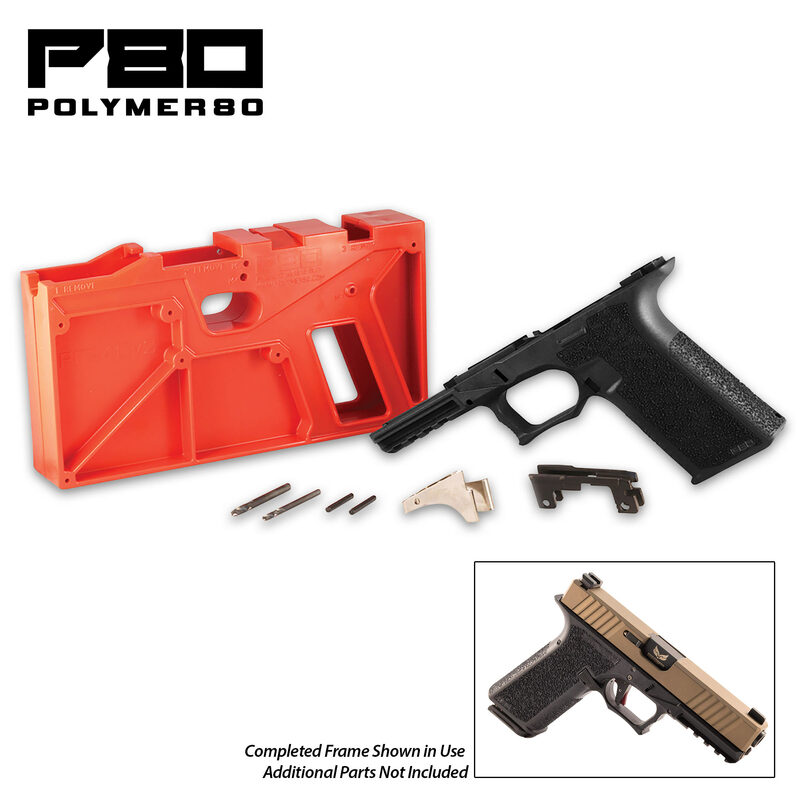 This is an all-inclusive 80% standard pistol frame and jig package for one great price! 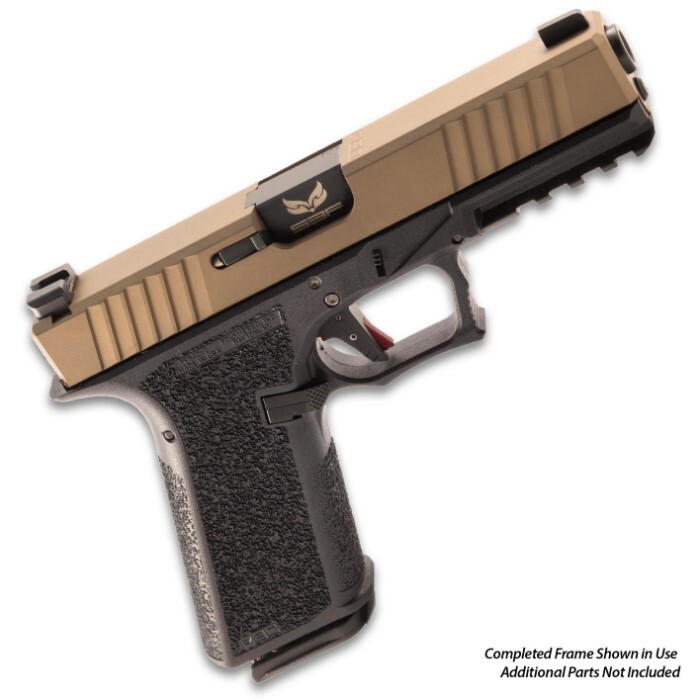 It features Polymer80’s proprietary high-strength, reinforced polymer composite, a solid core design, a stainless steel locking block rail system, a stainless steel rear rail module and hardened rail system pins. 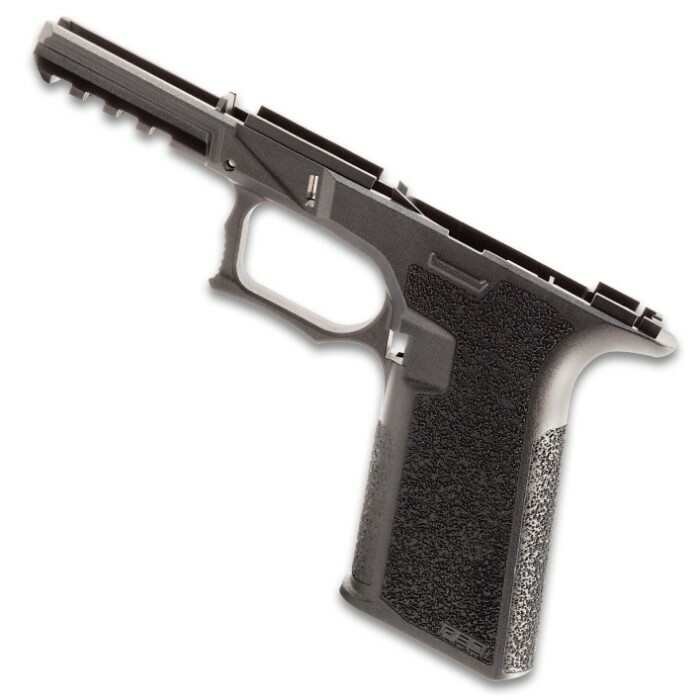 The pistol grip area features an aggressive and adaptable grip texture or a ReadyMod blank grip option. The kit also comes with drill bits and the end mill bit that’s required to finish your pistol project the right way. Our Black 80-Percent Standard Pistol Frame Kit offers compatibility with components for Glock Gen3 3-pin: 9mm G17, 34, 17L; .40S&W G22, 35, 24; and .357Sig G31. The best part about it is there is no FFL required to purchase.